Back from a very successful tour of India, Miss Tara sends her love and many thanks to her fans and the great people she was able to work with. See you in Goa for Sunburn 2015! 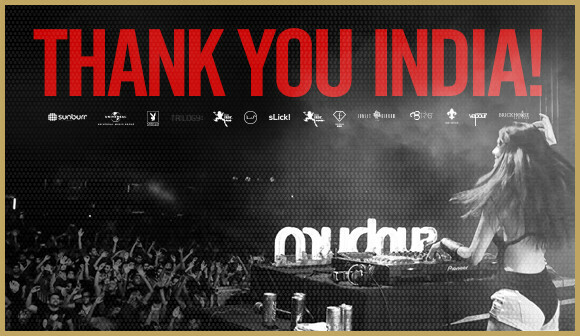 in the mean time, relive one epic event, Sunburn Kochi. click on the link below to view the gallery and tag your friends!